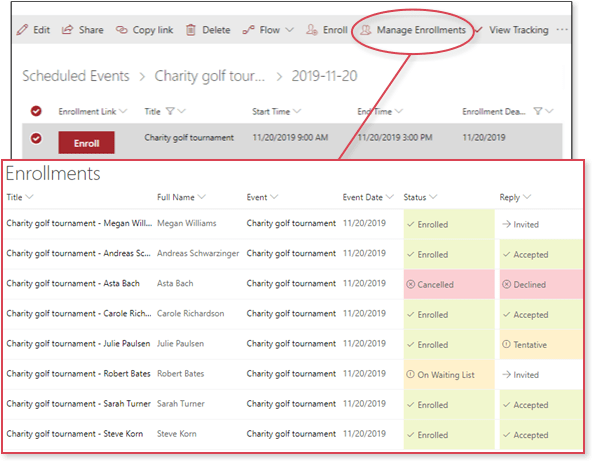 Our SharePoint Event Management add-in helps you to plan and manage events quickly and professionally. From setting up events to managing attendee registrations, our solution makes event management a pleasure for everyone. Our event management add-in helps you to organize various types of events, such as meetings or workshops. 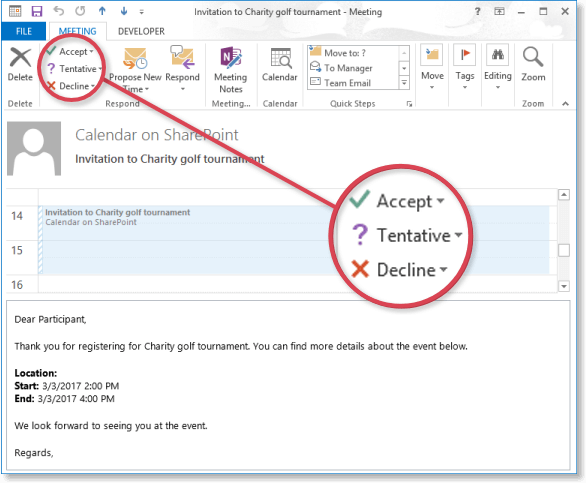 Events can be scheduled in next to no time in a few simple steps. Participants can register online with a few clicks, external guests as well as users with an account. As an organizer you can also send out invitations by e-mail or enroll users directly. The add-in keeps track of all attendees in one place and makes it easily accessible. All information is arranged clearly and you can check the list of attendees at any time. 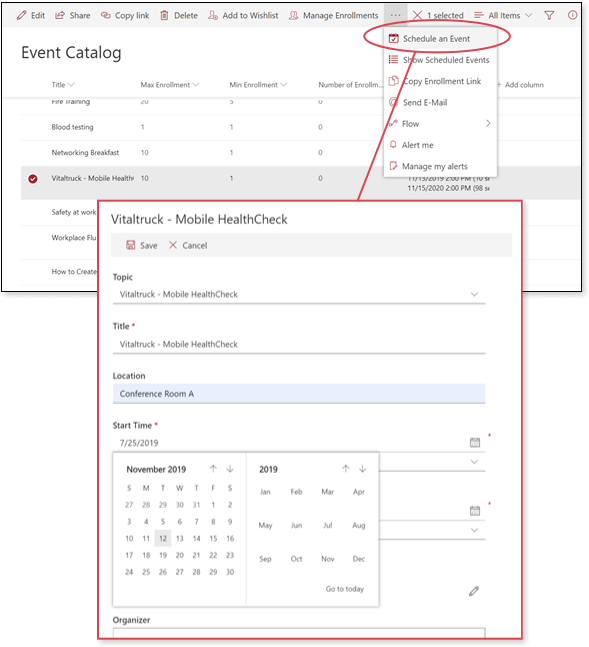 Create and publish events from templates or directly in the event calendar. Ensure that organizers and facilitators are invited when events are scheduled. Limit the number of registrations and set deadlines for enrollments and cancellations. Let your guests sign up for the waiting list while you resize your event when the demand exceeds your expectations. Give your employees the ability to search for recommended events in an event list or calendar. 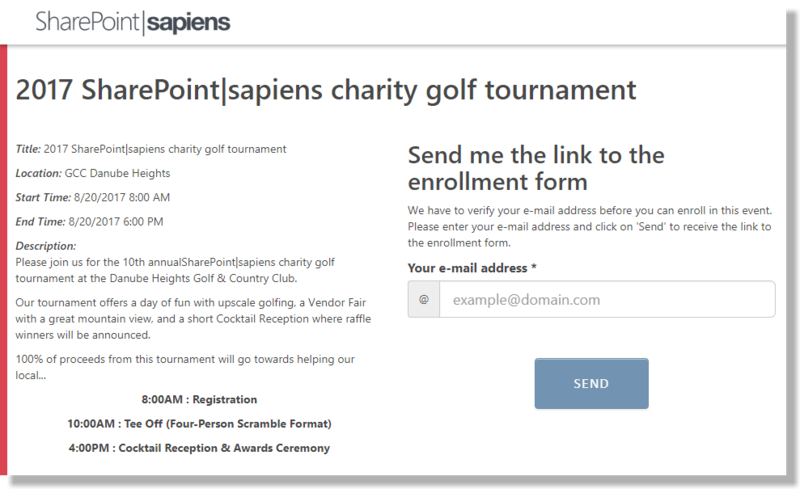 If a user is interested in an event, they can sign up for it with one simple click and will receive an invitation by e-mail. The event will also be automatically added to their personal calendar after registration. Provide a responsive website for external and mobile users to allow them to sign up for your public events. E-mail addresses are verified to make sure you communicate with their owners. As an organizer it is also possible to invite one or more attendees directly. The people invited will receive a meeting request by e-mail and can then use this to confirm their participation. If they accept the invitation they will instantly be added to the list of attendees for the event. Of course it is also possible to invite guests from outside of your company. Do you need to postpone or even cancel an event? No problem! Our template will automatically notify all members on the list of attendees list of any changes by e-mail. The list of attendees offers a detailed overview of all registrations, participations and cancellations for the event. The current status of the attendees can be displayed at any time via the interface. A participants list can also be exported easily to Excel with just one click. Once the maximum number of participants has been reached, the registration is closed. However, if you wish, you can allow users to join a waiting list. 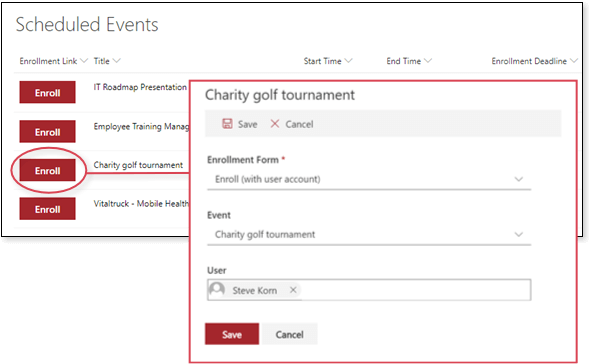 Enroll attendees in scheduled events or allow them to enroll themselves.